Monday, January 26, 2015 was the Blizzard That Wasn’t in New York City. While it certainly snowed, and slowed the City down, it was, mercifully, far from the Snowpocalypse breathlessly predicted by media outlets. 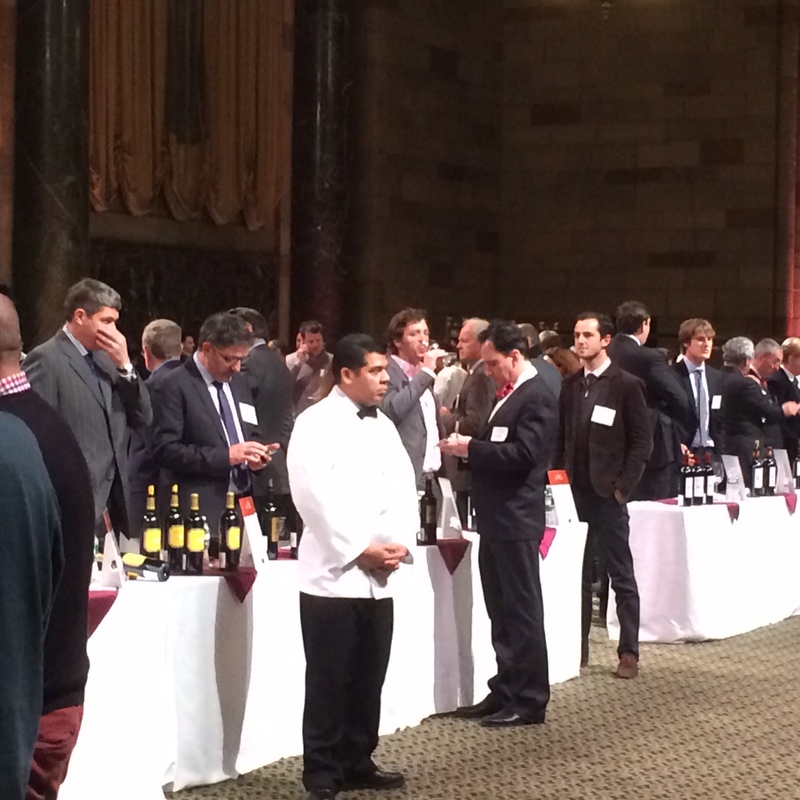 January 26 was also the date of the biggest and most anticipated Bordeaux tasting of the year — the Union des Grand Crus de Bordeaux (UGCB) — which gamely went ahead at Cipriani 42nd Street despite the dire forecasts. 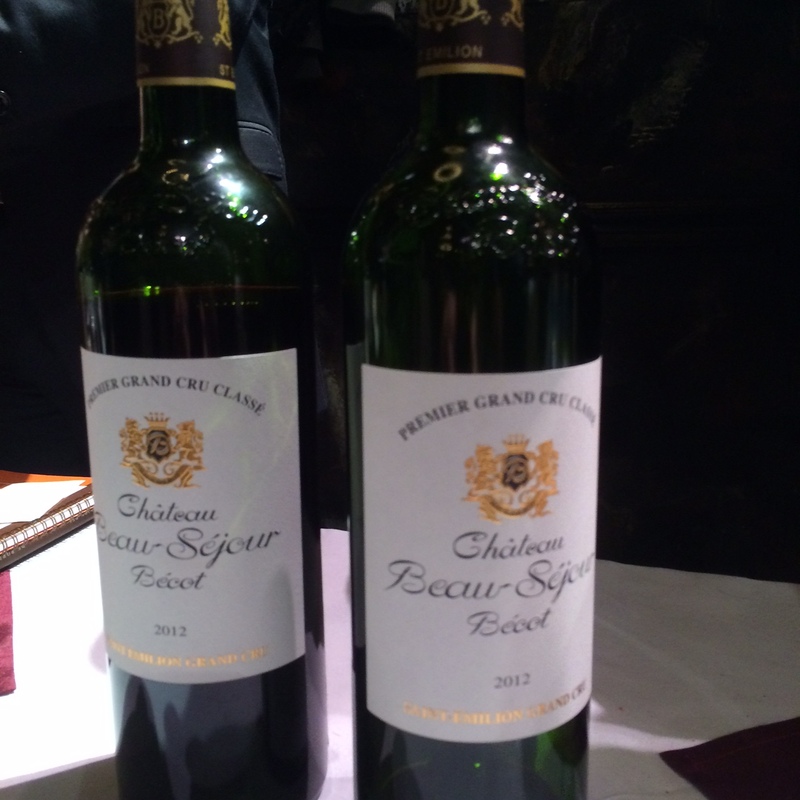 Amid all the legendary red Bordeaux, however, my focus was, perhaps surprisingly, on the Grand Cru whites. For this year’s tasting, the vintage focus was 2012, a challenging, “heterogeneous” growing season with a cool, wet spring (which affected flowering and fruit set); an intensely dry and hot summer, with some drought; a nice early September; and a soggy finish to the autumn, leading to rot conditions. Merlot, which ripens earlier than the Cabernets Sauvignon and Franc, tended to fare well, benefiting the Merlot-centric Right Bank. Severe selection was necessary for the Cabernets; the best terroirs — and deep pockets to pick and sort at the right time (by hand) — yielded some good results, but with lots of variability, making it hard to generalize about the Cab-focused Left Bank reds. On the white side, Sauternes was mainly a disappointing wash-out. But the dry whites, especially those of Pessac-Leognan and Graves (provided they were picked before the autumn rains), have been hailed as excellent. In a tasting as vast as the UGCB’s, one should have a focus or strategy — there’s just too much to take in, and lots of temptation. So, as a fan of dry Bordeaux whites, coupled with the advance praise, I made that my point of entry. I was not disappointed — the wines were stellar. There was plenty of stylistic variation among these whites, mainly in terms of oak regime (in particular, percentage of new oak for maturation), and the respective compositions of the Sauvignon Blanc/Semillion (and sometimes Muscadelle) blend. Nevertheless, most of the wines I sampled had excellent energy, balance and length, compelling citrus and tropical fruit aromas and flavors and, for the most part, nicely integrated oak accents, combining freshness with complexity. Many were age-worthy. Chateau La Louviere (Pessac-Leognan): Clear, citrusy Sauvignon Blanc (SB)-driven nose, with a touch of oak accent. Creamy mouthfeel, ripe orchard fruit, vibrant acidity. Nice package. Chateau Smith Haut-Lafite (P-L): Aromas of tropical fruit, vanilla and coconut, along with a floral note; on the palate, creamy, zesty pineapple/tropical fruit with perfect balance and a mile-long finish. Hedonistic! 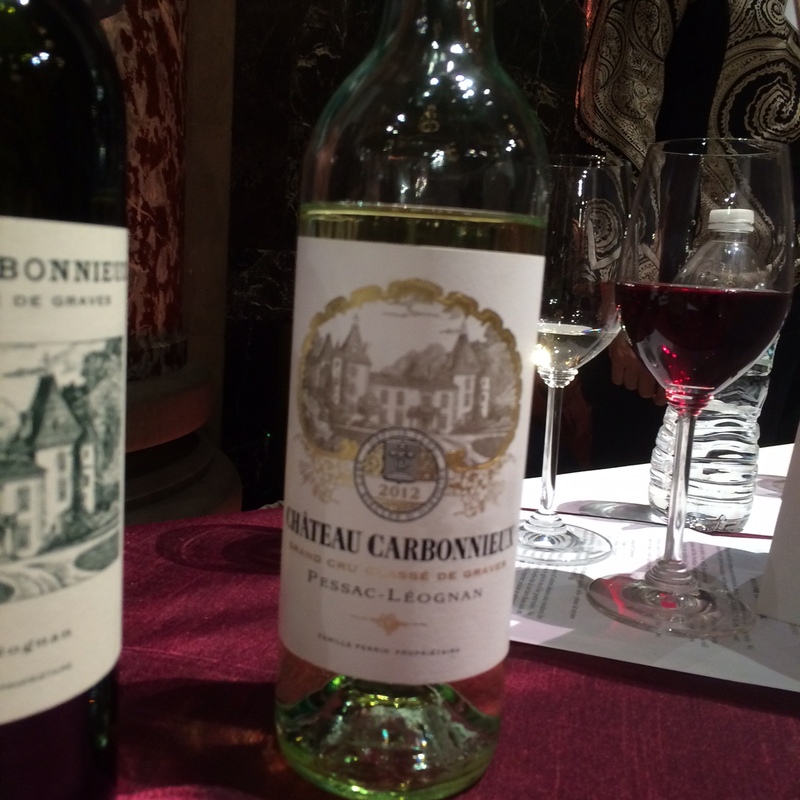 Chateau Carbonnieux (P-L): Fresh SB nose — lots of green orchard fruit — with a clean, full palate sporting Gala apple fruit, nice balance and great energy. Excellent. Chateau Latour- Martillac (P-L): Pronounced passion fruit nose, along with subtle coconut notes. Big and full on palate, with tropical fruit character and nicely integrated oak elements on a long, tangy finish. Will age well. Chateau de Fieuzal (P-L): Pretty floral nose with hints of vanilla and nutmeg. Vibrant orchard fruit on the palate, along with nicely integrated oak spice. Long finish. 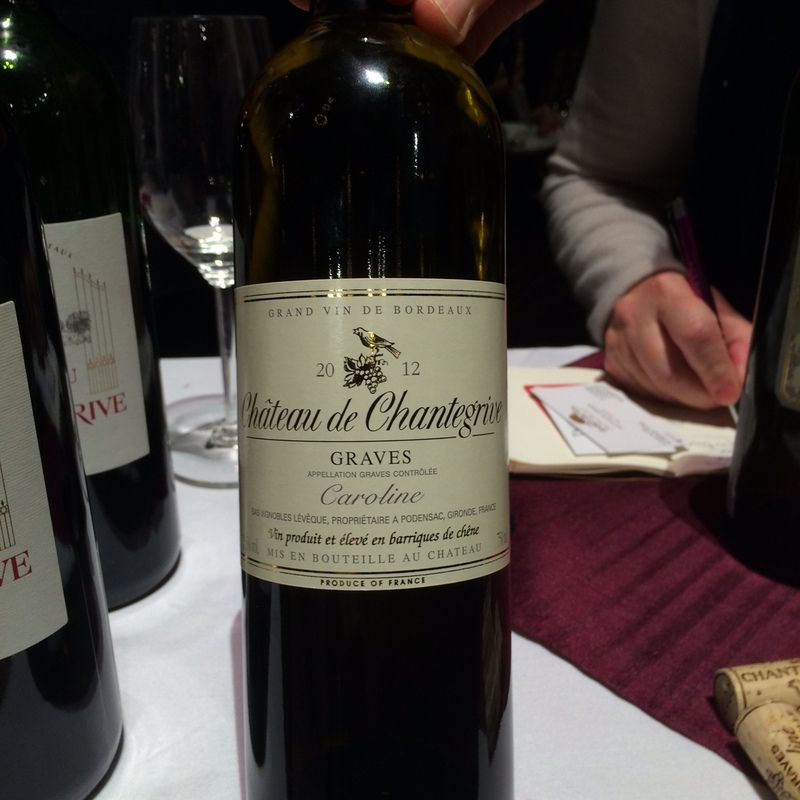 Chateau de Chantegrive (Graves): Incredibly expressive nose of gooseberry jam and tropical fruit, which play back on palate along with a creamy mouthfeel and vibrant acidity. Delicious! (This is a chateau I’ve covered previously in the context of “affordable Bordeaux”). 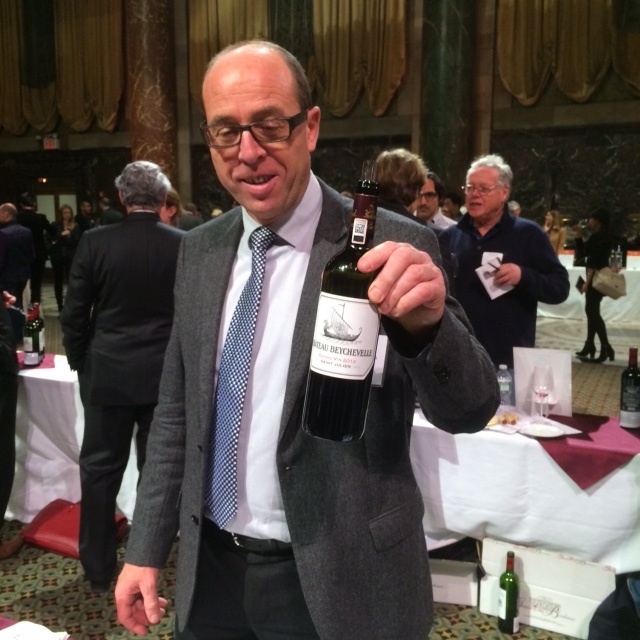 This entry was posted in New York City, NYC Events, Wine and tagged Bordeaux 2012 vintage, Bordeaux Grand Cru Tasting NYC 2015, Chateau Beau-Sejour Becot, Chateau Beychevelle, Chateau de Chantegrive, Chateau Smith Haut Lafite, Pessac-Leognan and Graves whites, Union des Grand Crus de Bordeaux. Bookmark the permalink. Funny how names from the past pop up in my in box. Hope all is well. Hi Thomas! Hope you are surviving Siberia in NY. Plenty has happened — including some (spinal) health issues — but I’m still slogging away. Would be great to catch up if you make into NYC in the near future. Best, Chris M.
On the plus side, I’m up to five books published and one more in production. We have put our place up for sale. I should be in NYC sometime this spring. Send me your email address. You have mine. I’m at cematthews42@yahoo.com. Moving back to the City?